I have been so lucky to have been nominated for this award by 4 very talented bloggers, so I will answer each of their questions separately. This is my first time answering an award, so here goes! Nominated by Lucile de Godoy at bridging lacunas. Lucile has been my rock during this process of starting my blog. We met during photo101 in November last year (I started my blog in October) and she (and the founding members of Photo101 Rehab Clinic Patients). I’m sure you’ve already visited Lucile, but if you haven’t, please do, she is one of the most supportive people I’ve met. 1. What do you like or dislike about this time of the year? So, my bad, this question came before Christmas (gosh I’m slow), so I shall answer for that time. I love Christmas because it’s holidays, because I get to not travel! I get to stay home and spend time with Gidget, with family and with friends. I love that people are usually happier and smiling and somehow more liberated at this (that) time of year. 2. Do you know how to cook and can you share a typical and delicious recipe from your country? I do know how to cook, my mum is an excellent cook and she taught me all the basics. I do have a couple of my favourite recipes that I’d love to share, perhaps in another couple of posts?! 3. What is old/aging for you? 4. Did you know any of these nominated bloggers, and if not, would you check their blogs now? 5. Are you mad at me because I nominated you for this award and you have extra work to do now? No I could never be mad at you, but it really is quite a bit to put together isn’t it? But lots of fun too!! Nominated by Sam Rappaz at Another Voice – a fellow scientist, and as someone once said to me, “a new breed of artistic scientist”. Sam is studying poetry and has written some lovely and thoughtful poems for us, coupled with some great photography, please visit her. 1. Do you like soap operas; which one and why? If not, then imagine a soap opera you’d like to see televised. I used to love soap operas when I was younger, actually I’m watching Grey’s Anatomy right now, it’s kind of a soap opera, right?! 2. What is the one language you wish you knew and why? Language! I did a couple of years of French at school and I wish I had finished. I had forgotten this until writing this post, but when I was studying French (at about 14 years old) I decided I wanted to go to France and teach French children how to speak English. Wouldn’t that be fun?! 3. What is(are) your favourite word(s)? This makes me laugh! It makes me think of the TV show Miranda, with Miranda Hart – do you know it? I love her, such a funny show (such fun!). She has words that she thinks sound slightly rude, and then she ends up saying them way too much, words like Moist and Plunge. Not rude at all, but she makes them end up that way. My favourite words? Sam, that’s a good question. Can I say chocolate?? 4. Has your blog affected the people in your life? How? I haven’t told many people about my blog, I’m super-protective of it. The people I have told have been affected by listening to me go on and on about all of you and how cool you all are. Also, I’ve made some of them model for me for photo shoots, but I think that helps them as well, they get nice photos of themselves, right?! 5. Do you think desserts should be eaten first? I have a poster up on my back porch which says – Life is Short, Buy the Shoes, Drink the Wine, Order the Dessert! However, I think I have to say no to this one!! I am surprising myself here. I prefer savoury before sweet, I can’t eat sweet breakfast foods, at least not without having a “normal” breakfast first. Wow, that was weird. 6. Do you believe the world can be divided into cat-people and dog-people? Yes, I think so. Although maybe cat-people and everybody else *eek* I’m a little of both, but way more dogs than cats. 7. What/who makes you laugh the hardest? My friends and family. We have a lot of fun together and we always laugh. I am surrounded by people who all have a good sense of humour. I am very lucky. 8. What’s the one song that can make you smile and why? I am weird with music, I get stuck on a band and stay with them for ages. When I was younger, it was John Farnham, then it was Eminem (I know right, weird combination). A couple of years ago, I put Matchbox 20 on my iPod in my car and I didn’t change it for 20 months!!!!!!!!!!!! But I guess my true favourite is P!nk, I love her music and her song Walk of Shame, always makes me happy, I love the lyrics, I LOVE singing along. I’ve reached a point where I don’t stop singing at traffic lights when I’m driving, I am totally un-embarrased, because it makes me happy! Yes, but just Gidget today. I’ve been confined to the house with a major torn back muscle, so no 2-legged loved ones are here ;( But you better believe I’ll make up for it tomorrow. 10. My favourite: Why did the chicken cross the road? LOL, what’s your answer Sam? I consulted Quantum Logic Theory – The chicken is distributed probabilistically on all sides of the road until you observe it on the side of your course. Nominated by Guevaragema at Word Nerd – a lovely blogger I met through Blogging101, she has a beautiful way with words that really resonates with me, you should take a look at her work. 1. If you had no restrictions, what one thing would you choose to focus your time and attention? Why? Photography. No question. I love it. It’s my favourite thing to do, I am completely at peace with my camera. 2. What is the hardest thing you have ever had to do? 3. What is one thing you have done to make a difference for someone? Hmmn, this is tricky. Actually, I thought of something. I didn’t know I’d done this. I was contacted on FaceBook about a year ago by a girl who I knew in primary school. She told me in her message that I had showed her kindness when we were children, at a time when she really needed it. I didn’t know. I remembered I had a birthday party, when I was maybe 10 and I gave presents to all of the girls who came to my party. She said that I gave her a little dove-shaped jewellery box. I do remember that. She said that she was going through a tough time with her family at the time and that my gift and my including her in my party had meant a lot to her. She told me that she’d kept the gift until a house fire took it from her when she was maybe 18. I had no idea, but I was so touched to read her message. We keep in regular contact on FB now. She lives a long way from me, but we plan to meet up one day soon. 4. What one talent or personal trait are you most proud of? I’m an excellent liquid handler 🙂 That’s my job, but I do love it and I’m good at it. A funny one, that I have been told by a few people is that I’m very good at politely telling people when they are wrong. I’m not proud of that one. Maybe it’s what you call diplomacy? I think I’m proud of my ability to make people feel comfortable and welcome. 5. Why do you blog? See answer to question one. I love photography and I want to share my photos. I didn’t realise that I also love to write and I want to explore that some more, so let’s see what happens! 6. What one thing do you know that you wish the whole world would understand or accept? I wish that the world would accept people who are different to them. I wish people weren’t scared of different. Sexual orientation, race, religion, appearance, I just don’t get why people can’t just accept each other, I hate it actually, it makes me so sad. I wish my gay best friends could just be my best friends, why do we have to define it? They are two people who love each other, why do people have to care whether they are boys or girls. Ugh, this one really gets me, but I’ll stop now. 7. What one thing have you never done but would love to do some day? I have never travelled in Europe. I’ve been to Salzburg and Cambridge, both for work and for short visits. I’d like to spend some time there, settle in for a while. 8. What do you like the most and why? Ok, I can choose whatever I like here, huh? I like my people, the friends and family who are all around me. I love them and they love me and we know it. We aren’t all lovey dove about it, but there have been some dramatic incidents last year that have made us stop and realise who are important to us and we’ve told each other. I love them x. 10. What motivates you to get out of bed in the morning? I actually love my job, and I love diving in and getting started each day. I also love that at the end of the day, if I want, I can grab my camera and go for a drive or a walk and see the world around me. Plus, coffee. Last but not least, nominated by Tehzeeb from The Tezzy Files – a fabulous beauty, fashion and food blog. Beautifully presented and really interesting posts, please take a look! 1. In one word, how would you like your readers to describe your blog? 2. Which is your most favorite among your blog posts? Why? I think it’s probably my Bee With Me post because I was very proud of the photographs that I was able to capture of a tiny bee. It wasn’t necessarily my readers’ favourite, but it was mine. 3. What/Who inspires most of your blog posts? 4. What do you aspire to accomplish this year? Hmmnn, I want to improve my photography skills and have more people seeing (and liking!) my photos. I also want to develop my writing skills, mostly in combination with my photos. 5. What do you aspire to learn this year? I think mostly how to be a better blogger and better photographer. I also want to learn more about photo editing. Sorry about so many photo answers! 6. What is your most favorite book? Why? Oh I used to be such a good reader! I have slackened off a little over the last year or so, I tend to watch more TV when I’m actually relaxing and not on a plane. I used to read on the plane too, but now I watch the in-flight entertainment. I think my favourite book was the first Anita Blake Vampire Hunter book. It lead to so many follow on books and a spin-off series. It’s one of a few book series that I can just pick up and read till it’s finished, rather than taking month to get through it! 7. What is your most favorite quote? You’re gonna need a bigger boat. 8. What is the most courageous thing you’ve ever done? Probably the two times I’ve changed jobs. I was headhunted each time and they were massive changes each time, but I did it and it worked and I’m happy!! 9. If you can be a superhero, what is your superpower? Superpower! Teleportation. If I could just close my eyes in Brisbane and 5 seconds later be in Melbourne, I would be SOOOOOOOOOO happy! It would have to include all my luggage as well. Has anyone seen “The Fly” ?!!?! 10. Who is your female role model? My mum is my role model. She is an amazing, strong, resilient woman who has been through so much and is still smiling. I’m so lucky to have her. Nominate seven bloggers – I won’t make it to 7 since many of the people I follow have already been nominated! I’d like to nominate these lovely bloggers, I’m sorry there aren’t more, I have another couple of award to respond to and will include others there. These three are definitely interesting and fun! Perelin Colors – beautiful travel photography and lessons to boot! 1. What is your morning routine after waking up? 2. If you could turn up at the airport and go anywhere in the world for free, where would go and why? 4. Tell me about something that made you really happy recently? 5. What did you have for dinner tonight? 6. What is your favourite movie and what do you love about it? 7. 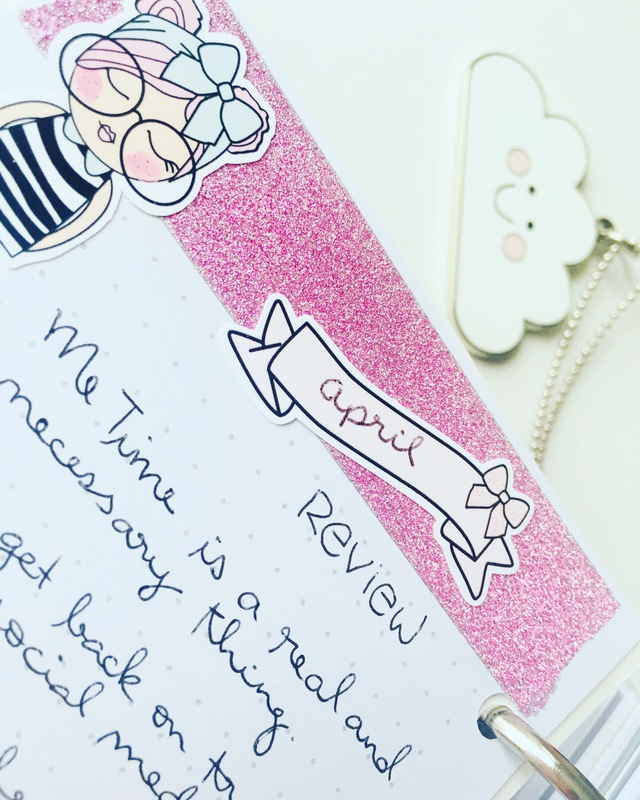 What’s your favourite thing about blogging? 8. When was the last time you laughed out loud? 9. If you and I were to meet for a coffee, what would you most like to talk about? 10. Do you have a catchphrase? Or something that you say a lot? Next articlePhotographyFrangipani for your Thoughts? I can totally sympathise with losing Buddy, (a member of your family) – very sad, indeed. Thank you dear, I appreciate that. It is such a hard thing to do. Meanwhile, missG is gently snoring next to me on the couch! Congratulations! And wow, just wow – thanks for sharing! Thank you for answering my questions. I enjoyed your replies. Yes, Grey’s Anatomy is a soap; French is magnifique; Moist chocolate (ha! ); Matchbox 20 for 20 months?! Whoa! ; I’m a savoury person but I like looking and thinking of desserts (yes, weird) and LOVED the chicken answer. My answer is Occam’s Razor- y : To get to the other side. ;P Hate me much? Thank you for the links to so many cool bloggers. I will check them out and also you are welcome to Europe any time! The chicken and the road question… I’m dying laughing 😀 Congrats on your well-deserved award! You go! Congrats lovely! This post was a real treat. You gave us great insights about yourself. I loved reading and knowing more about your life. And your move to Europe. LOL, thanks lovely. I will scour my notes for the perfect recipe! It was quite a long one, wasn’t it? I slept for 8 hours after writing it, LOL. A jug? Wow, you are speaking my language! Oh Andy, it’s marvellous. Doesn’t happen very often!! Oh I almost forgot because I was so out of it but I had ANOTHER spider incident last night. I was reading some posts in bed when I saw movement out of the corner of my eye and there was a huge spider crawling into my room, along the wall!! Oh man! Oh I was better able to handle it, ran to the kitchen, sprayed him, sprayed him some more (twice – my floor is pretty slippery now), ran outside to get a dustpan and brush, ran back in and scooped him up and sprinted outside to fling the whole package into the garden. I was sure he would start crawling up my arm, LOL. I would love to nominate you to all the awards we have won! Just let us know. You are amazing! What a mammoth post and so interesting I thank you so much for thinking of me it is an honour that you have chosen me. I have enjoyed popping over to visit the other nominees, it keeps the wheels of blogland turning. The beauty of blogging is getting to know our community out there. Congratulations on these amazing nominations for the Sisterhood Award! I’m honored and thrilled to have met you too via Lucile ! And I so enjoyed reading your answer to the questions… And thanks for sharing yourself with us.. I feel like I know you so much better… And I totally agree with savory over sweet ! I’ll check out your nominators and nominees !